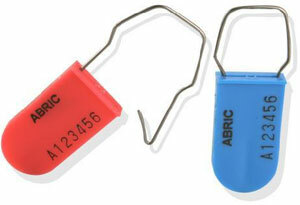 Padlock 2 is a polypropylene, padlock type, tamper evident security seal with a 1.2mm diameter, chromed steel hasp. It provides a cost effective, single use, replacement for an ordinary padlock and is designed for quick manual application and simple release with wire cutters. It is supplied in boxes of either 100 or 1,000 seals, pre printed with sequential numbers and is normally available in white for delivery within 2 working days. White polypropylene, padlock type, tamper evident security seals. Pre printed with sequential numbers. 1 box of 1,000 seals @ £139.00 per box excl carriage & VAT. Normally available in white, contact us for other options.